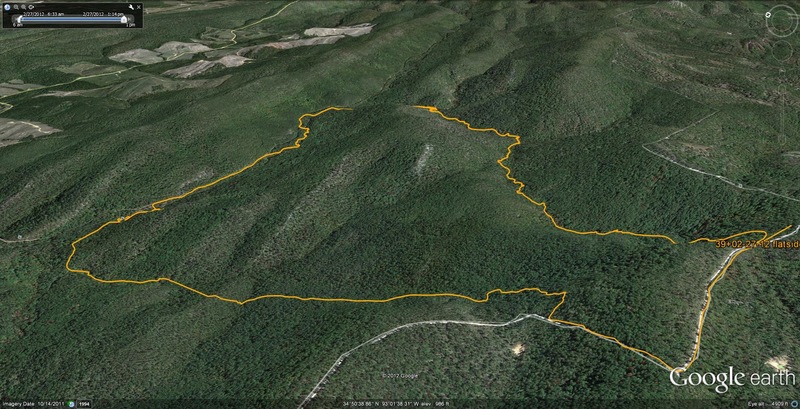 This hike takes me into the western panhandle area of Flatside Wilderness Area. I have only hiked a sliver of this area along the northern boundary in the past. It appeared that most of these woods have had a controlled burn in the not too distant past. The evidence does not really detract from the beauty of the forest too much. 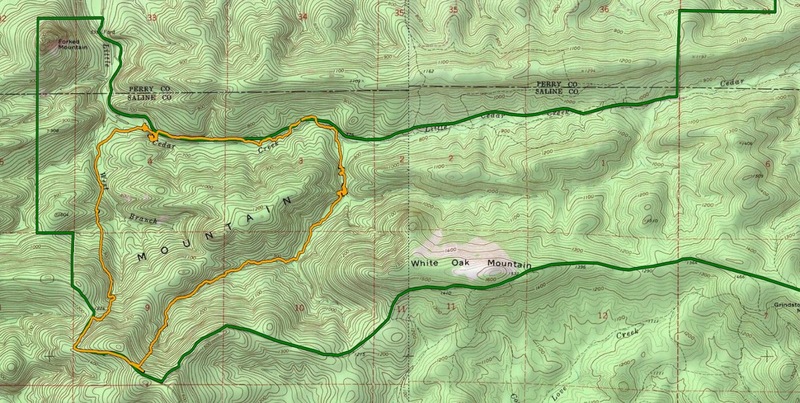 The start point was at the Ouachita Trail parking area at the western end of the wilderness. I did not use the trail since for the most it parallels the road on the southern border. Much of the the drop from the ridge to the valley was boring and occasionally brushy. The creeks get some character as they build towards Little Cedar Creek to the north. I encountered many rocky outcroppings and shut-ins as creeks hit ridges of rock and cut their way trough them. Lots of pine trees mixed with hardwoods. I saw a waterfall I was unaware of and also Forked Mountain Falls and Twist falls (I believe they have been called) along the way. This was a pleasurable hike of around 8 miles with fine sunshine and temps from 42 to 72. I would say that I plucked around 30 ticks from my breeches along the way but none ever reached their destinations.